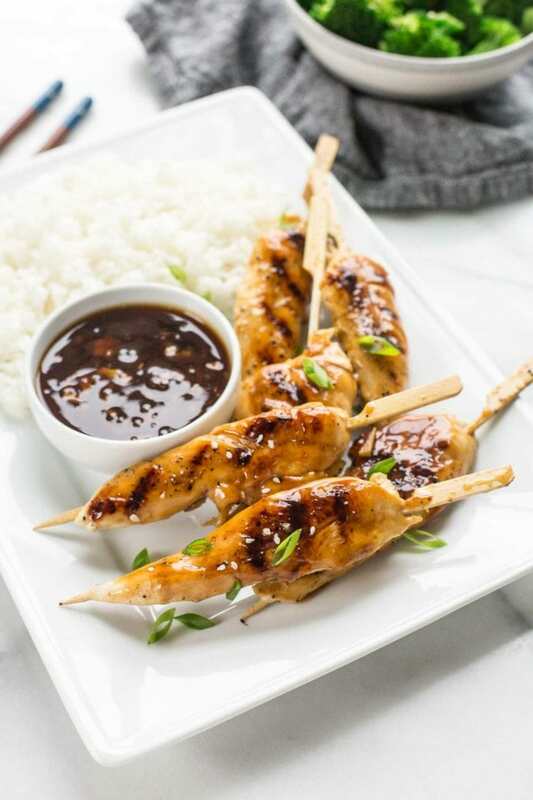 These quick and easy Asian Chicken Skewers with honey garlic sauce is sticky, sweet and savory and guaranteed crowd pleasers! 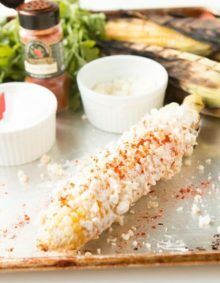 Fire up the grill or cook them on the stovetop for a dish that the whole family will love. Hi there Oh Sweet Basil readers! Jess here from Inquiring Chef. 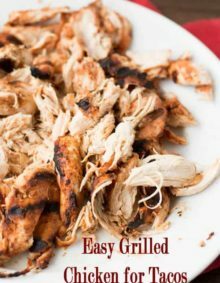 My husband and I have been sharing fun, flavorful recipes for home cooks on our website since 2010. It’s been a wild and wonderful ride. During that time we moved from Washington, D.C. to Thailand to Kansas City and welcomed our twin daughters to the world. Our third baby girl is due in July! I’m so excited to be dropping into Carrian and Cade’s space today. I just love their delicious family-friendly recipes (don’t even get me started on that Nutella Dulce De Leche Chocolate Chip Cookie Pie), so wanted to bring you something easy, flavorful, and perfect for summer. With warm weather finally here, we’re planning to spend as much time outside as possible. I’m all about those summer vibes – kids running in sprinklers, fresh cut grass, long days, and low-key dinners that are tossed on the grill and served outside. Chicken skewers are the definition of a low-key summer meal. The best shortcut for assembling quick skewers is to buy pre-cut (uncooked) chicken tenders. 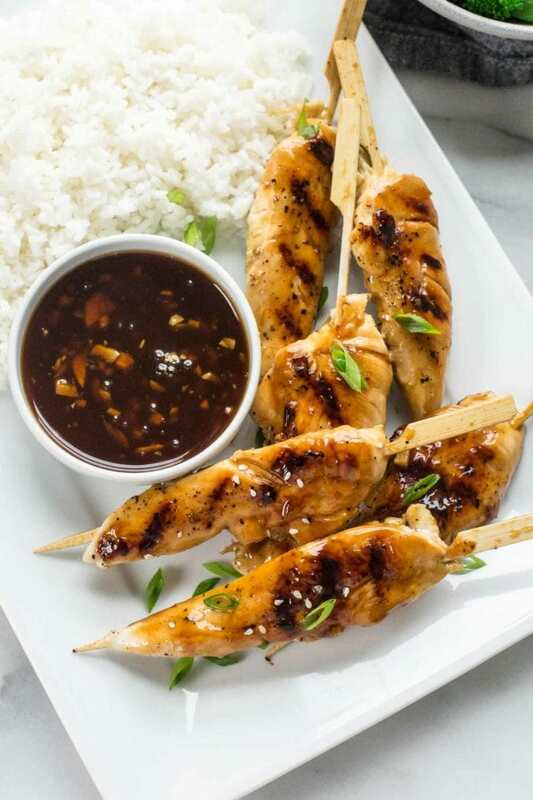 No chopping necessary – just slide the chicken tenders onto skewers, season with some salt and pepper, cover, and refrigerate until you’re ready to cook. But what makes these particular chicken skewers so special is the easy Honey Garlic Dipping Sauce they’re served with. Sweet and savory goodness. It only takes a few ingredients and you can pop the sauce in the fridge to use on other dishes the next week if you don’t need all of it. The sauce keeps in the fridge for up to a week, so make a batch and just pull it out when you’re ready to cook. 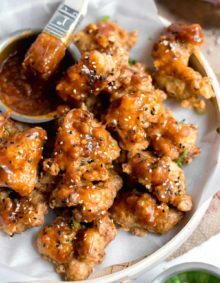 This recipe makes extra sauce because some of it is used as a glaze on the chicken. Extra sauce also makes for happy dipping and drizzling. Because no one passes up extra honey garlic dipping sauce. No one. 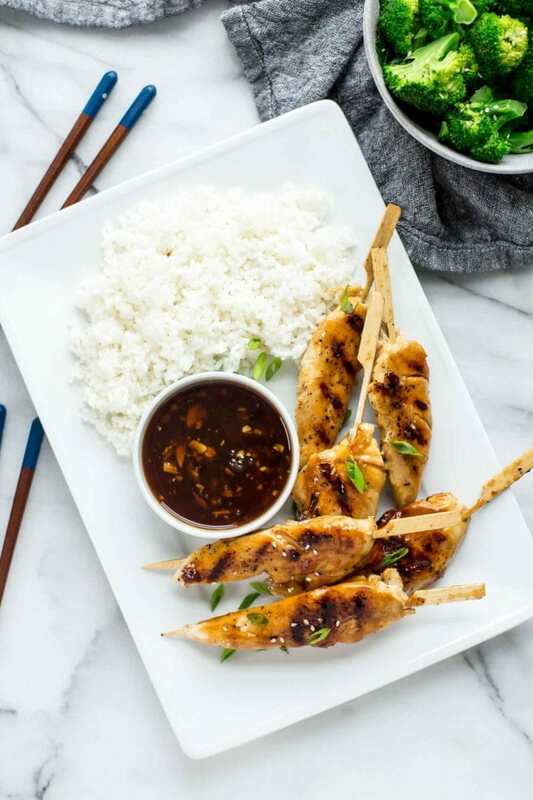 I hope you’ll add these delicious asian chicken skewers with honey garlic sauce to your summer dinner rotation. Happy grilling friends! Prepare skewers: If using wooden skewers, soak in water for 15 minutes to prevent burning. Thread one chicken tender onto each skewer. Season on all sides with salt and black pepper. Cover and refrigerate until ready to cook. Make sauce: Combine garlic, chicken stock, soy sauce, honey, brown sugar, and rice vinegar in a small saucepan over medium heat. Heat, stirring constantly, until the sauce begins to simmer. Simmer for 5 minutes to let the flavors come together. Whisk together water and cornstarch. Add to sauce while stirring. Simmer until sauce thickens slightly, 1 to 2 minutes more. Set aside (or refrigerate for up to a week). Cook chicken skewers: Prepare outdoor grill or place a grill pan over medium-high heat (if using stovetop). Brush grill grates with cooking oil and place chicken skewers over direct heat. Grill chicken on both sides until nearly cooked through (5 to 7 minutes, depending on thickness). While chicken cooks, divide sauce in half, setting one half aside for serving. Brush one half of sauce over both sides of chicken in the last 2 minutes of cooking. Note: If you can't find pre-cut chicken tenders, buy boneless, skinless chicken breasts and slice into tenders. I submitted a post today, which I saw you have posted. on top of the stove?? Can SOMEONE reply??? Thank you. Yes, you could absolutely bake them! Bake them at 350 degrees for 20-30 minute depending on the size of the chicken pieces you put on the skewers. We love our grill pan and use it often, especially in the winter! You can get some as low at $40-50 that get the job done! in the oven (baked)? Would the outcome not be as good? 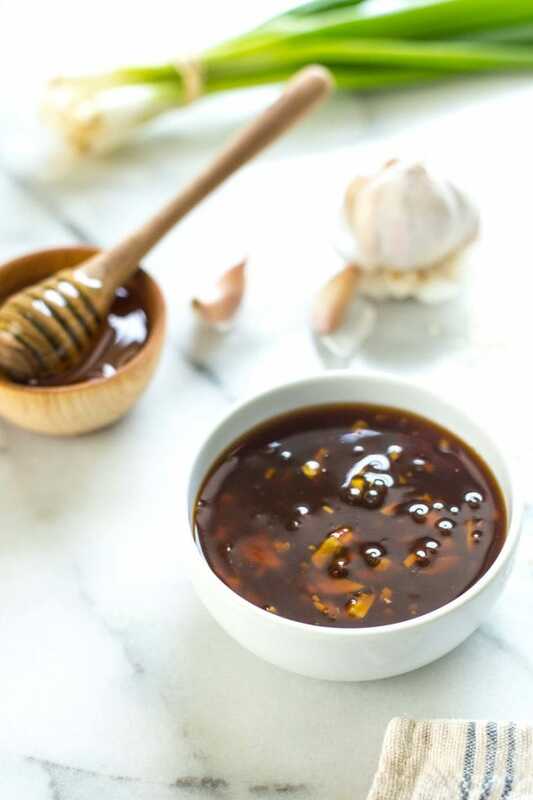 That honey garlic sauce looks so flavorful and perfect for this grill recipe! Can’t wait to try. Perfect for this weekend!